Finding cheap ski holidays has become far easier in recent years. Low cost airlines and shared ski transfer companies such as Ben’s Bus have made holidaying in the French Alps more affordable than ever. Tour Operators, Travel Agents and Accommodation Providers in France have all played their part too. We’ve showcased the best companies that offer ski holidays in the resorts that our network of buses operate to. NUCO specialise in bespoke holiday packages to fit any budget. From small groups of friends to large corporate events, they have holidays to suit everyone. Check out their Deals of the Week to bag yourself a bargain! 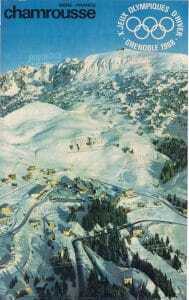 Get me to the Alps are the ski experts and have some of the cheapest ski holidays available. Their excellent customer service ensures that your holiday runs smoothly and they offer full ATOL protection. Christmas and New Year weeks: Budget Holidays are hard to find at this time of year. Search around and you could still find some bargains. UK February Half Term Holidays: Saturday 16th Feb 2019 – Saturday 23rd Feb. Flights from the UK will be expensive. French School Holidays: Saturday 9th Feb 2019 – Saturday 9th March. Prices are high and the slopes, roads and restaurants are rammed! Skiing ability Ski passes for smaller resorts with smaller ski areas are loads cheaper than the bigger, more famous ones. Family or Friends? Do you want to party or is childcare and good food more important? Choose a specialist resort to cater for your group. Apres Ski If bars and nightlife are important to you, then pick a resort like Les Deux Alpes, Val Thorens or Tignes. If you’re not interested in partying, then avoid the bigger, more expensive resorts. Research everything before booking anything. Don’t book anything until you have calculated the total cost of flights & transfers together. Look Around for Flights. Use a flight comparison website like skyscanner to get the best deal. Used a Shared Transfer Service Ben’s Bus has shared transfers from Geneva Airport, Grenoble Airport and Lyon Airport. 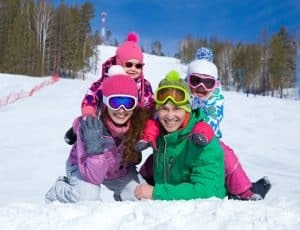 If you are a family looking for a cheap holiday in the snow, you don’t have to head to a traditionally ‘cheaper’ country. There are loads of affordable skiing holidays available in the French Alps. Shorter flights & transfers and better facilities, food and snow are all great reasons to stay closer to home. Go in low season and grab yourself an absolute bargain! For the 2018 /2019 ski season, we are showcasing Chamrousse, a gem of a ski resort only 1 hour 20 minutes from Grenoble Airport! Chamrousse is s family-friendly ski resort with great value self catering accommodation, reasonably priced ski passes, ski schools and kindergartens. The ski area is child-friendly but still varied and interesting enough to keep the adults entertained. Throughout 2018 the area and Chamrousse in particular, will be celebrating 50 years since the famous 1968 Grenoble Winter Olympics, which saw Jean Claude Killy win multiple events in Chamrousse. You can ski the Men’s Olympic Run down to a brand new, fast, 6 man chairlift which has made a real difference to the resort.